This is a superb location, right in the heart of New Cairo. Conveniently close to downtown, this centre provides bespoke offices in a stylish building with an impressive facade. A full range of facilities is available to clients including; IT support, secure parking facilities complete with CCTV and conferencing facilities. In addition, the centre maintains 24-hour access which makes it a great location for maintaining relationships with global clients. Surrounding the centre are numerous local amenities to be enjoyed such as cafés, restaurants and retail outlets. In terms of public transport, the office building is well connected, a short distance from both the bus station and taxi rank, as well as the international airport. Located in Egypts primary IT hub, this contemporary business centre provides exceptional business support facilities – from catering and shuttle arrangements to training equipment, as well as a luxurious range of amenities, including a gym and pool, tennis courts and a shopping area – all under the inspiring vista of the great pyramid of Giza. A local shopping mall is located nearby which provides access to a range of other local amenities including; retail outlets, restaurants, cafes and bars. Cairo International Airport is also proximate, allowing your business to maintain global relationships with ease. The centre is situated within a modern building in the New Cairo Business District with great access to public transportation. A mix of open-plan office space and fully furnished executive suites are complemented by a business lounge and a variety of meeting rooms. Other useful services include; break-out lounge areas, communal kitchen area and IT support. An abundance of local amenities surround the business centre, offering a range of services including restaurants, stylish bars, cafes, retail outlets and markets. Here, there is something for everyone to enjoy during and outside of working commitments. Located in New Cairo, this centre is housed in a stunning glass building, provides modern integrated technology and features a number of on-site amenities such as a restaurant, a fitness centre and a snack bar. The centre is a short distance from both Cairo (accessible by bus or car) and the Cairo International Airport. At this centre it is possible to take advantage of the numerous professional services at your disposal. These include fully equipped meeting rooms, a communal kitchen area, high-speed internet, conferencing facilities, on-site support teams and a break out room. Office spaces to rent within Nile City Business Centre Towers, one of the most acclaimed complexes in Cairo. The impressive Fairmont Hotel and a shopping mall are within the same complex, offering a mature business environment. It is extremely close to the city centre, where there are lots of regularly services transportation links and historical landmarks to observe. A cybercafé, restaurant and secure underground parking are available on-site. 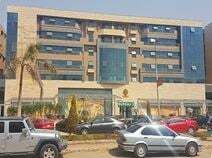 With views of the River Nile and Giza Pyramids these offices are brilliantly located for both business and leisure. There is a choice of co working space and private offices that are suitable for up to eight people. Here, there is a wide range of professional services at your disposal including; 24-hour access, conferencing facilities, spacious meeting rooms, break-out spaces, on-site management assistance and a secure parking facilitiy. Additionally, the centre is well situated nearby to many restaurants, bars and retail outlets. The Egyptian Museum and Cairo Opera House are proximate as well, a great opportunity to enjoy time spent outside of working hours. This business centre is dedicated to the success of your business just as much as you are. The business centre itself is accessible 24 hours a day, 7 days a week so is a great working environment for those who don't work the normal 9-5. Here you have the option of a co-working team or private offices. Within walking distance you'll also find many local cafes, bars and restaurants in which you can relax and enjoy. This renowned business centre, which offers first-class, mixed-use business space coupled with varied amenities, has attracted a wide range of business types and sizes. It is located in an ideal location just off the 26th of July Corridor running through the capital to the airport. The centre has great access to useful amenities such as onsite support, meeting rooms, kitchen facilities, secure parking and fully furnished work stations ready to be used. 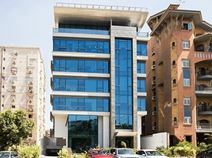 Only 7km from Cairo International Airport and located at the heart of Heliopolis this modern, fully furnished office space provides panoramic views of the city from an efficient and comfortable environment. A shared meeting room suitable for up to 10 people is also available. A major supermarket is on the ground floor of the building with other amenities close by in the neighboring buildings, making the site easily accessible and close to everything clients could need. This centre is situated in a modern building and features a wide range of professional services including; spacious meeting rooms, postal services, lounge areas, kitchen area and printing facilities. The centre also maintains 24-hour access which is perfect for employees liaising with overseas clients. A dedicated reception service is also available to handle administrative responsibilities. The location is ideal, situated close to several notable landmarks as well as an abundance of local amenities to be enjoyed outside of working hours including; retail outlets, shopping malls, cinemas, restaurants and bars. The office-space is also well connected in terms of public transport, allowing your business to maintain relationships across the city with ease. This centre is situated in the heart of downtown Cairo and is part of the first technology and innovation park in the city. Spread over five buildings set around a large courtyard and garden offering a range of office spaces from 15 to 1,400m² along with fully furnished co-working space suitable for both start-ups and established multinational companies. amenities include; spacious meeting rooms, high-speed internet, conferencing facilities and 24-hour access. The building is easily accessible through public transport using the underground rail network or convenient buses that pass through regularly. Local amenities surround the centre as well, including retail outlets and restaurants. The Nile River and Egyptian Museum are also extremely proximate. Situated near Midan Hegaz, this office space was established in August 2015 and is only 10-minutes from Cairo International Airport allowing your business to operate globally. 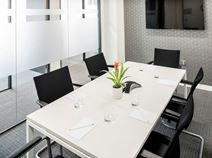 The centre features a range of professional amenities including; high-speed internet, equipped meeting rooms, furnished offices, reception desk, administrative support and conferencing facilities. Additionally, the centre is within walking distance to numerous local amenities including restaurants, cafes, schools and retail outlets. Convenient bus and rail networks also surround the centre, providing easy access to the surrounding areas. This centre is featured within an impressive building and maintains great access to a host of useful services including; spacious meeting rooms, conferencing facilities, office maintenance, 24-hour access and administrative support through a dedicated reception service. Convenient parking is also available. In one of Cairo’s fastest-growing suburbs this office space is ideally located between the ring road and Salah Salem road and benefits from excellent local transport links. The Cairo International Airport is a mere 3 miles away, whilst the Shubra El-Kheima train station is 10-minutes away by car. Local amenities surround the centre within a nearby shopping centre. There you can find an abundance of restaurants, retail outlets and bars. Right next to Egypt’s busiest airport this space has spacious, comfortable meeting rooms as well as private business rooms. Other useful services include; 24-hour access, conferencing facilities, parking facilities, a dedicated reception desk, high-speed internet, fully equipped meeting rooms and private business rooms. In addition, the centre is well situated adjacent to the international airport, allowing businesses to maintain global relationships with ease. The local Heliopolis district also offers a great choice of restaurants, retailers, cafes and other retail outlets. Public transport links are copious, with several buses and taxi services operating in the immediate vicinity. Located in New Cairo, considered the fastest growing business district in Egypt with the largest financial and real-estate companies being located here, this business centre is ideally situated within a stellar business building and provides a wide range of fully furnished workspace and business services. In addition to the extraordinary office spaces, the centre provides a dedicated administration team and offers access to contemporary meetings rooms and business lounges to ensure high levels of productivity. In the heart of the Sarayat Maadi area, this corporate centre is a prestigious and locally renowned place to do business surrounded by affluent residential and commercial space. There are also a variety of useful amenities close by, ncluding restaurants, coffee shops and retailers conveniently close. The area also provides exceptional transport links, with local bus and tram services operating regularly within close proximity to the centre. The business centre offers on-site meeting rooms that are fully equipped and easy to use and book. So if you meet with your clients often you know you have a professional, confidential space to meet them. Here, you're also supported by a friendly on-site admin team. This team can assist with telephone answering, greeting your clients, mail handling and helping you secure one of the meeting rooms. If commuting by public transport isn't something you use often you can make use of the on street parking outside of the offices. Supported by a friendly on-site management to help you with your business needs this fantastic, flexible workspace is ideally located in a quiet neighbourhood, close to the Degla Square. Each office is fully fitted with comfortable, sleek furniture that will impress any of your business guests. Other amenities include; high-speed internet, reception desk, 24-hour access and a maintenance service. Additionally, the surrounding areas are filled with numerous local amenities including retail outlets, bars, hotels and an abundance of restaurants to be enjoyed outside of work commitments. Public transport is also extremely accessible within the immediate vicinity, with several metro and train stations nearby. The Cairo International Airport is also a short drive away. This centre is situated in Victoria Square and has access to a wide range of professional services including; spacious meeting rooms, 24-hour access, administrative support, cleaning services and a communal kitchen area. A friendly on-site management team is also available to help you with your business needs. The private office space has been completely refurbished with comfortable, sleek furniture while you will also have access to wonderful lounge areas. 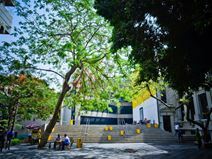 Additionally, the centre is set in a peaceful environment nearby to several notable embassies and close to the Cairo American College. Local amenities also surround the area including restaurants bars and hotels. Enjoying a prime location in the heart of Cairo's business and commercial hub, these leased offices are poised to charm any business traveller. The design is minimalistic but innovative, and oozes serenity in the midst of Cairo's busy business district. The full-height windows and curtain walling provide a well-lit working environment while the secure underground parking is definitely a peace of mind for travellers. A business icon in the making and this is your opportunity to be part of the story. This centre is located in a prestigious business park, in a stylish glass fronted building which maintains good levels of natural light throughout the day. Professional amenities include serviced meeting rooms, conferencing facilities, communal relaxation areas and a dedicated reception service. The area is home to several large businesses, and numerous highly revered educational facilities. The area is home to several local restaurants and bars as well as plenty of luxury hotels. 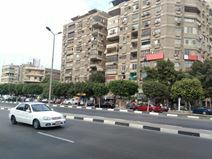 Taxis and buses run frequently near the building, facilitating easy connection around New Cairo itself. This centre is situated in the main Cairo axis, and is easily accessible via major road links. The airport is adjacent as well, allowing for travelling guests and clients to access the centre with ease. Local amenities surround the building including various restaurants and cafes. Here, there are a wide range of professional services at your disposal including; IT support, high-speed internet connection, fully equipped meeting rooms and a secure parking facility for both employees and clients alike. Furthermore, the centre is maintained by a professional cleaning service to ensure the daily upkeep of the office is handled responsibly. 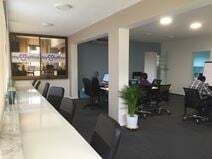 This conveniently located business centre offers serviced offices for rent in Cairo. With a multilingual office manager, flexible spaces and restaurants and retail close-by, this centre enjoys a quiet setting. It can accommodate any client request: whether rooms need to be furnished or unfurnished, personal separate telephone lines or specific internet services such as VPN. he centre has two meeting rooms (for up to 12 people), a self-serve kitchenette and a terrace/garden area. With a great selection of offices, this business centre provides something for all types and sizes of business, whether you are a medium or a large organisation. Rates are flexible and affordable, allowing you to rent out modern and contemporary space without the worries of long-term lease agreements. The building provides high speed internet and parking on-site, alongside a range of other services such as complimentary refreshments and meeting room access.